Apps for real estate agents: there are so many apps that can be used for an agent as well as developing their own. Technology is something that should be an integral to a real estate agents business. I am excited to be speaking at the REIV’s Digital Exchange Conference, have heard some amazing speakers such as Caroline and Annabel from Google (always love Google Stories) such as Zack Matere and hearing oohs and ahh’s when I was talking about Evernote. I shared an image that was of an ostrich (with it’s head in the sand). Did you know it’s male ostriches who have their heads in the sand checking on the eggs? I was talking about ‘digital ostriches’ and you can’t stick your head in the sand whilst everyone else is running by. I also shared an image of my cat Lord George, who looks a bit shellshocked. Sometime when you are at a conference there is an overload of information and it can be challenging to take it all in. My biggest passion is ‘helping people’ understand what is in front of them, whether it is online tools, social media or using their mobile devices. The ‘aha’ moment when someone gets something is very powerful and reinforcement for why I set up Tech Coach HQ. REIV partnered with Officeworks to provide 1:1 devices for all the participants of the conference. They pre-loaded the apps (for real esate agents) onto the devices such as Photosynth, Snapseed, Evernote, Penultimate, Skitch, Videolicious and realestateview.com.au app so that these real estate agents can really experience what these apps are all about. Why use Photo apps for Real Estate Agents? 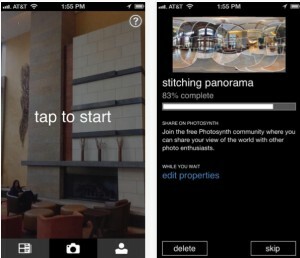 Photos engage others…make sure it’s yours (take your own) and check out Saturday’s blog post on being Creative with apps. There are some amazing apps for editing photos and taking photos such as Snapseed, Camera + and Photosynth. 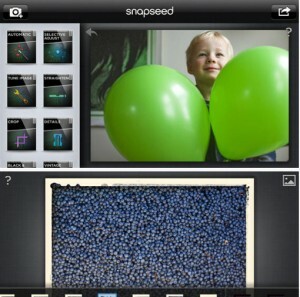 Snapseed is a fantastic photo-editing app that was mentioned today (and it’s free). It has easy filters to use. Great app for adding lots of features for iPad and iPhone photography. Add the filters before you shoot. 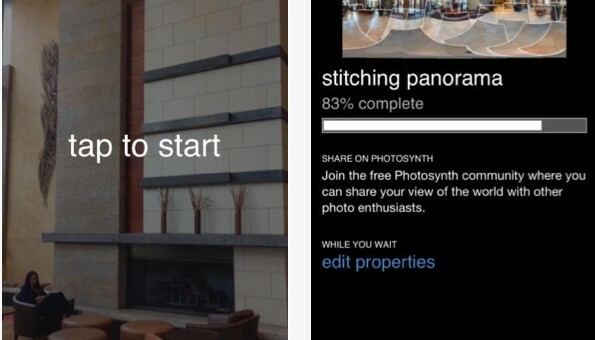 Great app for iOS that lets you take ‘360’ images (perfect for taking shots) of clients homes. Great app for Android that lets you take ‘360’ images (perfect for taking shots) of clients homes. We had Sacha Ambrose from ‘LinkedIn’ this morning. A fantastic presentation and he mentioned that the iPad app has just been updated for LinkedIn. Look at your profile on LinkedIn, make sure you have a professional headshot that is recognisable. I have been using the LinkedIn app to read new content that is relevant to my industry and what I am interested in. The professional network is what LinkedIn is all about and it has been great for sharing these latest blog challenges on using mobile devices. Tara L.Christianson is an amazing speaker and was talking about being on the right ‘platform’ for you. Her favourite platform is a combination of Twitter and Facebook. She talked about lots of great things including ‘Social Media Manners’. Education is the biggest thing even with using mobile devices in real estate agents. She also shared about Ines Hegedus-Garcia #Miamism (a fantastic real estate agent who is passionate about photography and sharing her passion with Instagram and those in Miami, US). It has definitely make me think what is my right platform for sharing this journey…I love Twitter for business and using Pinterest/Linkedin for sharing and curating content. Click on the links to see the branding. Off to Bendigo tomorrow to present with Tim Gentle from Design Experts. Will be writing the blog post as I travel up on the train to Bendigo. Remember, always take one ‘byte’ at a time. Dear Michael, The packages are just being re-worked now. Please feel free to contact me via email so I may send you the links. I am working with some real estate agencies this year in Vic, so let me know.